As I face 2018, I confess that I am in a bit of a funk. My husband and son grilling Christmas steaks. 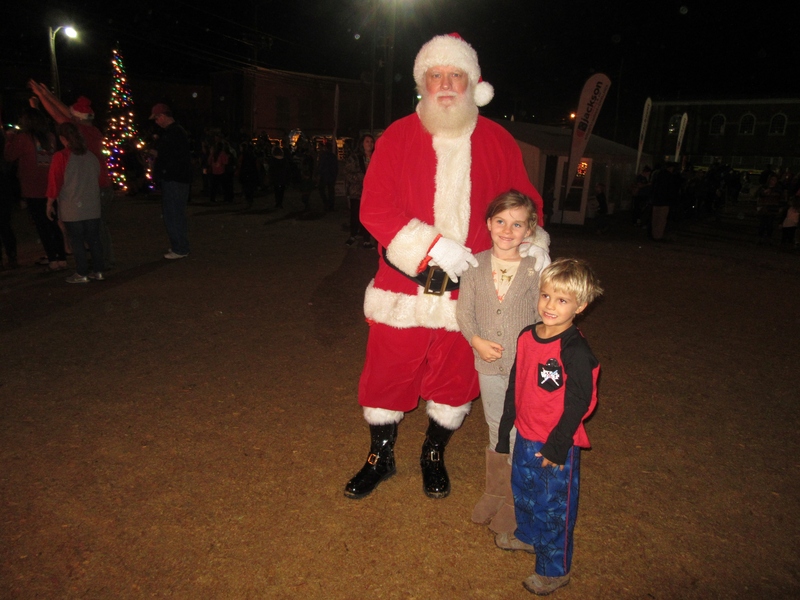 But now I feel like my grandson after we took him to a the small town of Valley’s Christmas celebration. 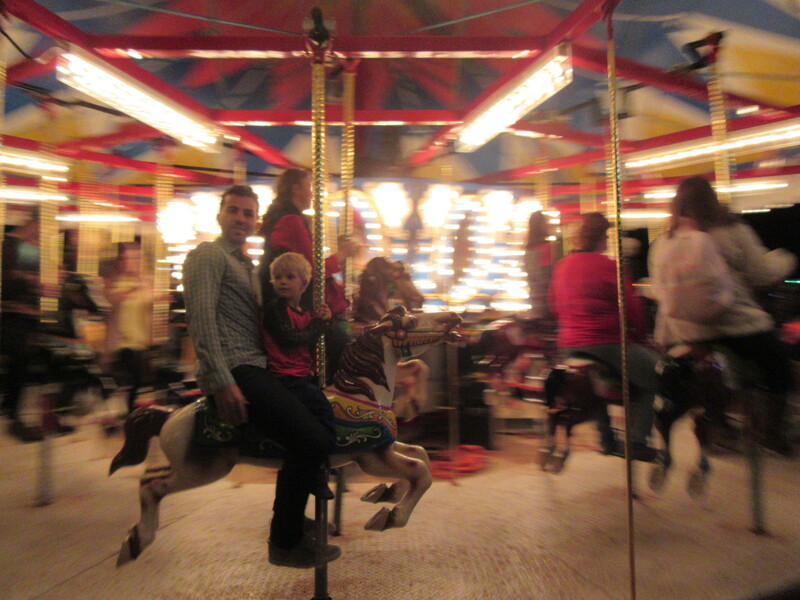 He rode the merry go round. He saw Santa. He slid down the slide bunches of times, and jumped in several bouncy houses. But when it was time to go, he got an attitude and kicked the ground. I want more — more time with my children, more ways for God to work. I know it’s ungrateful, and I am so awed and thankful for the many things God has done. 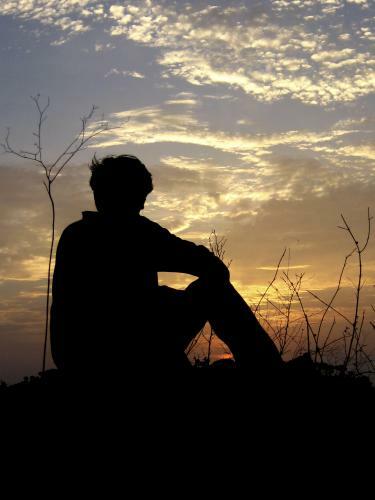 But now I am facing the year ahead with a feeling of insufficiency. There are things my heart is looking for in the new year that I feel totally inadequate to help bring about. This year, things will only be accomplished by prayer. This doesn’t just mean intense prayer, or prolonged prayer, although these are good. But Jesus healed the boy in an instant, not with many words. His disciples were stymied, because they had previously been able to drive out many evil spirits. (Mark 6:13) So there was something they were missing here, and Jesus said the missing ingredient was prayer, but not just any prayer. It had to be the kind of prayer that was deep and daily, the kind that would bring them into a more faithful and powerful relationship with God. That is what we need: deep and daily prayer. And much more. What are the ways you will deepen your prayer life in 2018? There are daunting things we will face in the coming year. Will we be an unbelieving generation? Or will we be able to face them with a strong faithful relationship with God? “This kind can only come out with prayer.” That’s the only way we can face the challenges to come. That’s the only way to deal with our feelings of insufficiency. That’s the New Year’s resolution we need. Sometimes we can ask for something small. Here, Jesus didn’t ask God for something monumental. 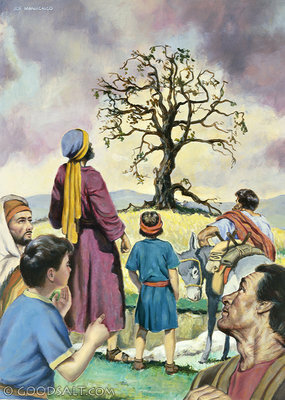 He just asked that the fig tree would not bear fruit anymore. It wasn’t about serving someone else, or saving the world. It seemed like a personal whim. One that he actually expected God to address. Even when he gave an example of what we can ask for in prayer, it wasn’t something productive. What would be accomplished by a mountain being thrown into the sea? Maybe sometimes we can trouble God with the little, seemingly insignificant things we want. Yes, we need to resist egocentricity in our prayers, thinking it’s all about us and what we want. Yes, our requests must be in line with God’s will. But as a Father, God wants to give us what we ask for. Last week I was talking to my son, Max, and he asked for an early birthday present — he needs a couple of shirts because the dress code for his master’s program is business casual. Now Max is grown. He seldom asks me for anything. Do you think, as a mother, I resented or belittled this request? No, I got online that evening and bought him what he wanted! I was eager to do so. That’s what moms love to do. And I think God’s the same way. The other thing about this passage that really got me thinking this week is how POWERFULLY Jesus expects us to live as God’s children. It’s a continuation of a theme that runs through the whole Bible. God is passionate about His people. He stands behind them one hundred percent, and wants them to go forward boldly, confident that He is with them. And now WE are the chosen people of God! God is behind us just as fiercely as he was for the Israelites — even more so! So I’ve started to act more more confidently. And I have sought to ask God for things and believe that He is my Father, and wants to give me what I ask. This past Saturday, I spilled water on my laptop keyboard. At first, I hoped that I could just wipe it off and all would be fine. But then I saw the white screen of death. I quickly turned the computer off, and Ken wrestled to get the screws out of my computer so we could dry it out. They next day I tried to power the computer up. Nothing. I took it to the shop. Did I dare to pray to God to restore my computer, when I had been foolish enough to spill water on it? Could I believe God would answer this paltry prayer? That’s what I did. And two days later, the guy from the shop said he was able to boot my computer up, and it was fine! It was resurrected from the dead! So I am fired up with this challenge to be like Jesus, and pray and act powerfully! I’m starting conversations with people, pushing past obstacles, saying more what’s on my heart. God made me the way I am for a reason, and it’s time to be the best version of myself! No shrinking back! We are God’s children, the apple of His eye, and we need to believe this, and walk with strength. He is behind us one hundred percent. People brought their friend to Jesus. Imagine if someone had never been able to see. Wouldn’t you want for them to be able to see the same beauties that you see? They would be able to function better, work better. I truly do feel that so many of the people in the world are blind to the beauties of God and Christ, and following him. I feel like I have something of infinite worth, something so amazing. Being with God expands my heart. The more I know Him, the better it is. It’s like the best of music, art and nature all wrapped up together. It’s inspiration that soars and renews every day. I want so much to somehow open people’s eyes to what Christianity is all about, not just the perfunctory bit of religion they experience. I think the burden is on me, and I do have it burning in my heart to tell people more somehow, instead of letting them have their space. But maybe I need to apply this burning desire to BEGGING Jesus to touch them. “No one can come to me unless the Father who sent me draws them,” Jesus said in John 6:44. Let me groan and plead, even shed tears, for Jesus to enable people to see! It’s the same as occurred on the road to Emmaus in Luke 24:31. They didn’t recognize Jesus until he opened their eyes. So anyway, back to the story. Jesus takes the blind man and leads him outside the village. Why? But doesn’t this healing bring glory to God? One thing I’ve been working on more is letting my life emphatically declare the reality of God. Along those lines, it seems like the healing should be shouted from the rooftops, done in plain sight, to declare the power and reality of God. But our hearts swell so much. We can’t help but soak in some of the glory for ourselves, just that we are a part of it. Could I live in complete humility for a day, just doing my acts of righteousness in private, just praising God in my gratitude journal, without anyone ever knowing? That’s a challenging thought. It’s something I need to work on more. Do things in private. It purifies our hearts. I am sure that when Jesus took this man outside the village he was free from distractions, and especially free from the temptation to care what people think. This definitely speaks loud and clear to spending time in seclusion. We need quiet times. The last thing I want to address in this story is how Jesus had to try twice to heal the blind man. Surely he who cast out demons and raised the dead could have healed the blind man on his first attempt. Was it because the blind man didn’t have enough faith? Maybe it’s just that sometimes people are healed in stages. Ken and I were just talking this morning about how God works through processes. We want so much for our friends to change, for them to see. But their eyes are opened only gradually. They have an insight, a break though. But then it’s just the status quo for awhile. We ache for them to see more. But it has to come in time. Jesus doesn’t freak out that the man hasn’t been healed. He just tries again. It’s the same with us. We keep trying to expose people to the truth, and praying for them. It may not happen the first time, or the fiftieth time, but the power of Jesus is real. People’s eyes CAN be opened, they CAN see the boundless beauties of God, and that is worth a thousand passionate prayers. One of the most important things about prayer is working out my relationship with God. Sometimes I shy away from praying about myself. “Others are more important,” I tell myself. “I need to focus on their needs.” And it’s true we don’t want prayer to be a self absorbed exercise. But I am realizing how vital it is to talk to God about myself, where I am, and wrestle things through WITH HIM. At house church this week we each shared what personal weaknesses we thought others had to bear with in us. We all have characteristics that can be an obstacle to our relationships. The same is true with God. Prayer can be the time when I get in touch with the weaknesses — my fears, my selfishness, my worries, and so on — that are impediments in my relationship with Him. It’s a time to open my heart and be honest. I tell God I want to change, but I’m not sure how. There is always a response from God, a sense of peace. There is often insight and guidance. There is definitely a feeling of clearing the air and connection. If I pray through the Lord’s prayer, one of the hardest parts for me has been the confession of sin. Usually I can’t think of what to say. I know I’ve been selfish and prideful, but it’s sort of a large amorphous feeling. I know I should tell God I’m sorry for what I’ve done wrong, but it doesn’t feel sincere. Learning to have a conversation with God about what’s going on inside of me is a breakthrough for me. It’s more organic. It feels right. So in prayer, petition is good. Praise is good. But it is also the time for me and Him to get stuff straight. I can’t keep going on without resolving what’s inside. I need to bring it in the open and talk about it. I need to find ways to deal with it. I need to ask for help with it. This is the stuff of relationships — that real, vulnerable conversation where you find your footing with one another. I’ve been hiding behind walls. The more I open myself up, the more things work, and the more my eyes are opened that this is the way they’re supposed to work.